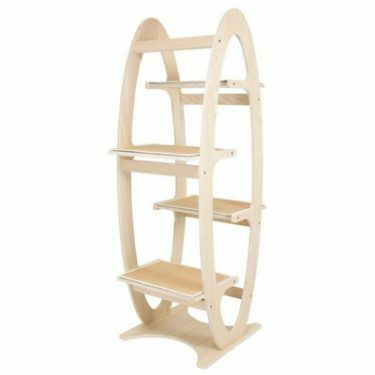 PetFusion’s Modern Cat Activity Tree & Scratching Post is a great-looking, highly functional cat tree. 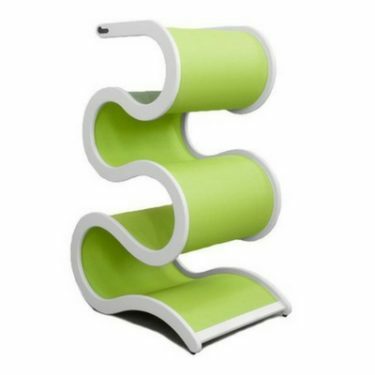 This piece of furniture is unmistakably intended for your cats. In terms of appearance, it’s a huge improvement over your standard carpeted cat tree, but not quite as modern as some of its competitors. As with most PetFusion products, the Modern Cat Activity Tree & Scratching Post is a big hit amongst cats. 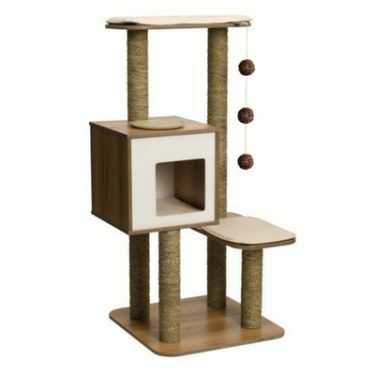 The PetFusion Modern Cat Activity Tree & Scratching Post is one of the newest modern cat trees on the market. It was introduced in 2015 and has gained in popularity with its endorsement by the famous cat expert Jackson Galaxy, on his show My Cat from Hell. Here at Kitty Loaf, we are huge fans of Jackson Galaxy and we definitely agree that this cat tree is deserving of the praise. 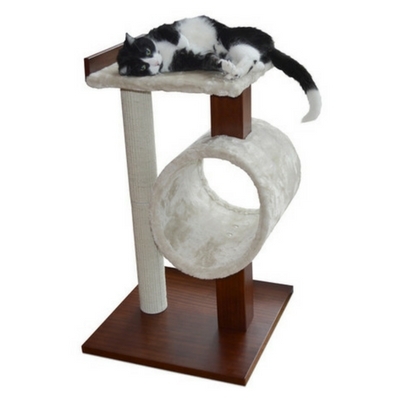 The PetFusion Modern Cat Activity Tree & Scratching Post stands 33 inches at waist height. It has a 30-inch tall sisal post for scratching, and a plush carpeted tunnel and platform for lounging. 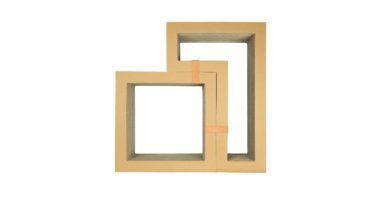 It is made of high quality MDF and comes in a neutral color scheme, with chestnut brown base and accent features and cream-colored plush carpet. Assembly was very easy and only took 10 minutes. It comes with fasteners, matching screw caps, and everything you need for assembly. Everything was packaged very well and none of the parts were damaged. 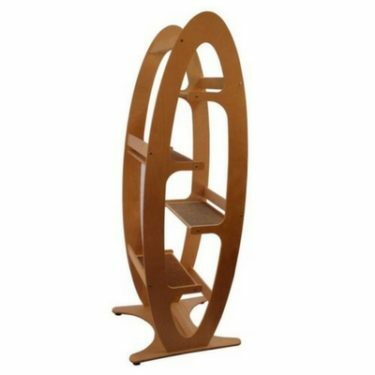 The PetFusion Modern Cat Activity Tree & Scratching Post is a nice looking piece of furniture for your cats. It has an attractive balance between wood and plush carpet that make it perfect for the bedroom. If you’re used to the standard carpet cat trees and you’re looking for something that’s a lot easier on the eyes, this is a great choice. On the other hand, if you’re interested in finding a modern piece of furniture that doesn’t scream “Cat Tree”, there are some better options available. The PetFusion Modern Cat Activity Tree & Scratching Post gets our highest rating for cat-friendliness. This cat tree was thoughtfully designed for cats. 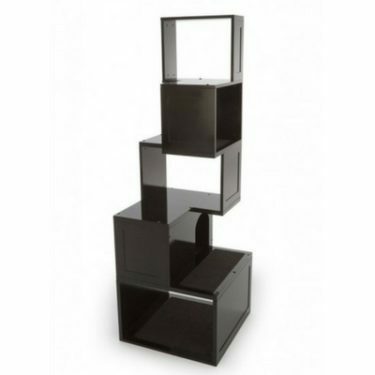 It is the perfect height for placing near a windowsill and sturdy enough that it won’t easily topple over. And while it’s not as tall as some of its competitors, it makes up for it with other cat-friendly features. Finally, there’s a cat tree with a fully-functional scratching post! This is pretty exciting. As a cat owner who is constantly buying scratching posts, it’s nice to have a good one included with your cat tree. 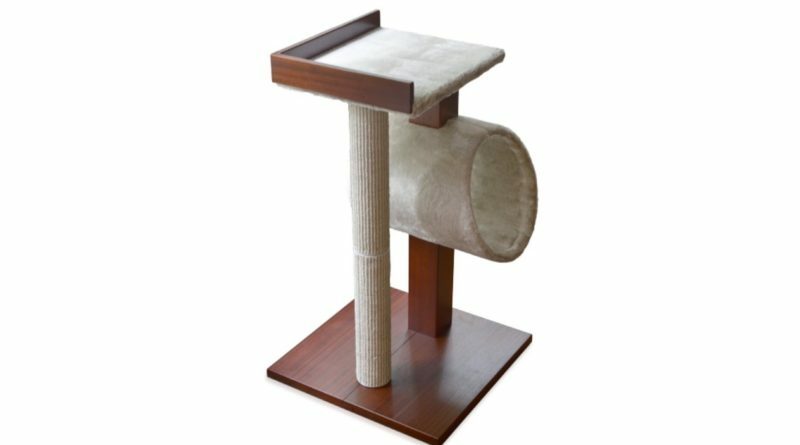 This scratching post is made with sisal carpet rather than sisal rope, which looks nicer and is more popular with cats. The kitty tunnel is large enough and low enough to the ground that even 20+ pound kitties can fit comfortably. And speaking of comfort, the super plush carpet is a big cat-pleaser. The top platform is large enough for a single cat to lie down. And as an added bonus, they throw in a bottle of catnip spray to help entice your cats to try their new furniture. PetFusion definitely wins the approval of my cats. 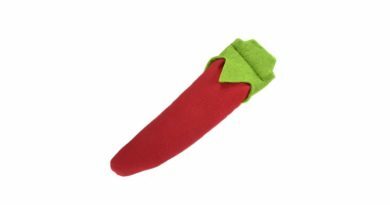 PetFusion has delivered yet another high-quality product for our cats to enjoy. 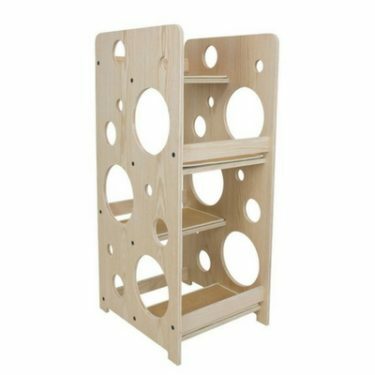 The scratch-resistant MDF with wood finish give this cat tree the look of much pricier furniture. 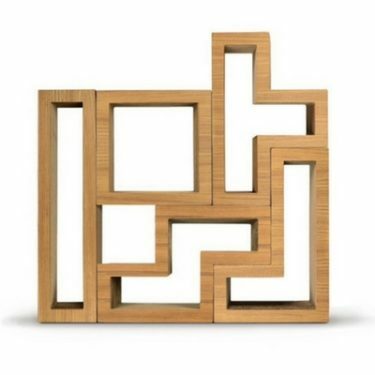 All parts fit together seamlessly. The plush carpet is extremely soft and appears to be holding up well. 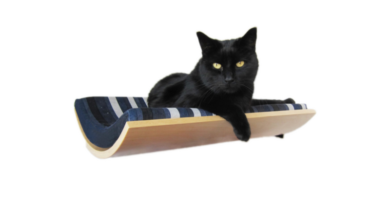 The retail price of The PetFusion Modern Cat Activity Tree & Scratching Post is $100. In the realm of modern cat furniture, this is a true bargain. You’d pay about the same price for a messy, carpet-shedding tree of lesser quality than PetFusion’s tree. 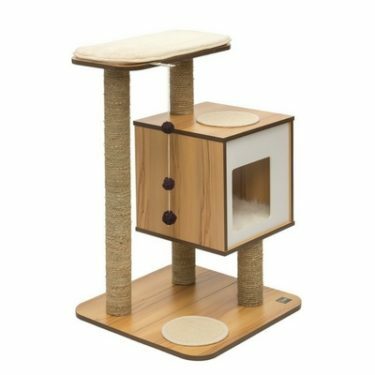 If you’re ok with people knowing that you have a cat tree, The PetFusion Modern Cat Activity Tree & Scratching Post is pretty close to perfect. This cat tree is well designed and attractive. While we can’t think of any obvious improvements for this particular tree, we would like to see PetFusion come out with a similar product that has a bit more height.